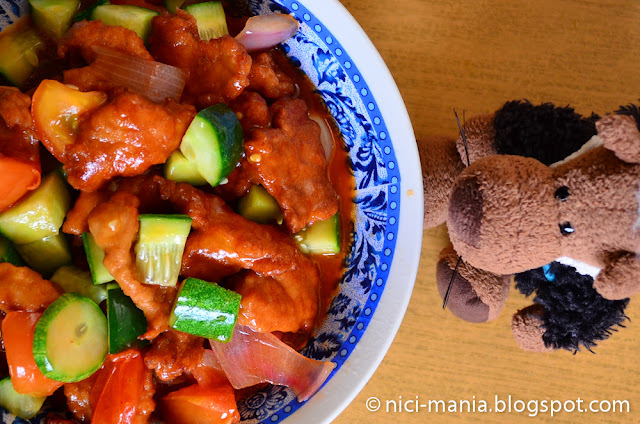 NICI-Mania presents Sweet and Sour Pork recipe! 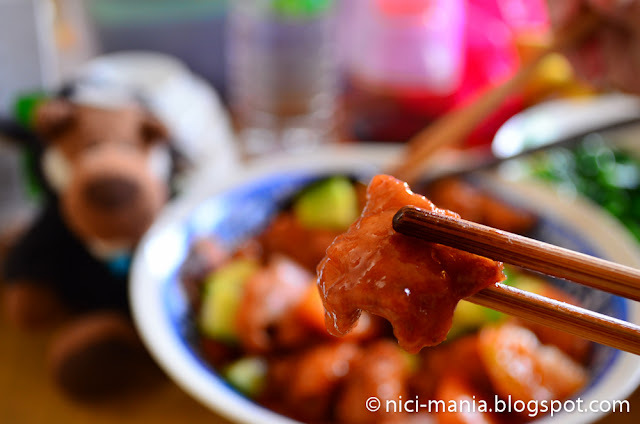 Sweet and Sour Pork often known locally as 咕嚕肉 "goo-lok-yok" is one of the most classic Chinese dish ever. Sweet and Sour Pork, the name says it all about this classic dish. 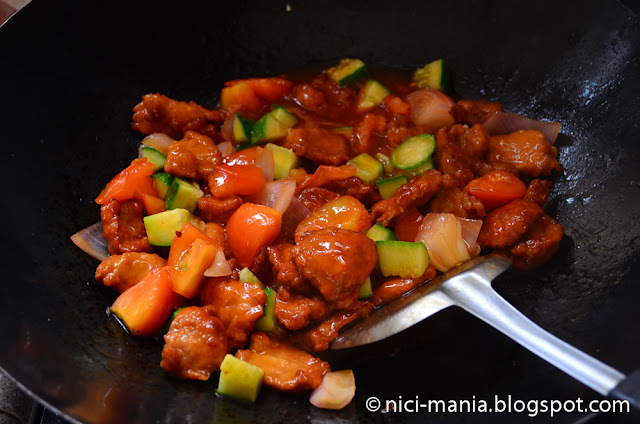 It is fried pork in sweet and sour sauce together with vegetables like cucumber, pineapple, onion, green capsicum, etc.. 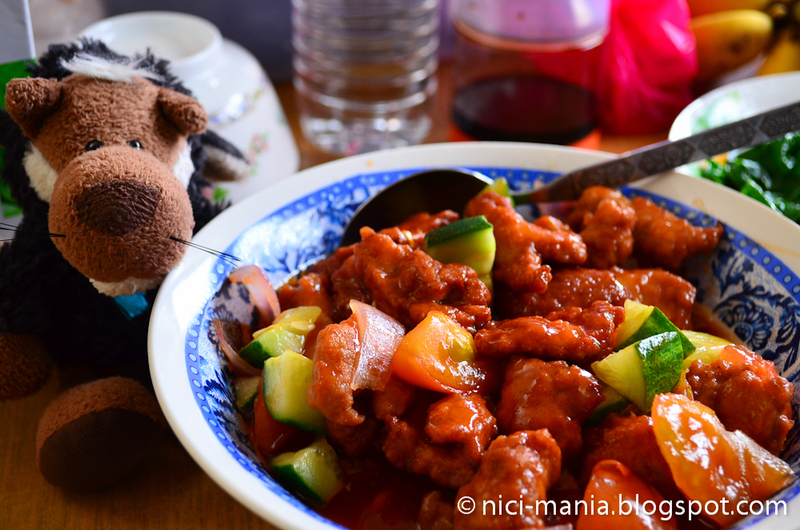 The vegetables in the Sweet and Sour Pork dish can vary up to personal likes but it must always have cucumber in it. Our sweet and sour pork recipe today uses tomato, cucumber and onions. 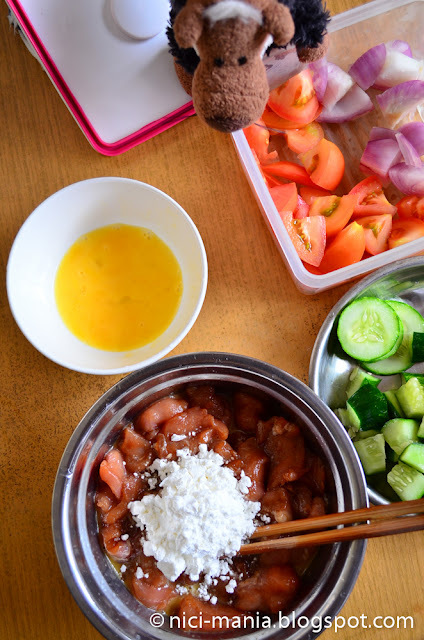 Sweet and Sour Pork is always cooked with the ingredients in cube shape, cut the tomato, onions and cucumber into cube shape but cut the lean pork meat into 1 inch slice and half inch thick. Marinate the lean pork meat with 4 tablespoons of soy sauce, 1 teaspoon of sugar, some pepper, half a fully beaten egg, and a lot of corn starch that is enough to cover all the meat evenly. Add copious amount of oil into a hot pan and deep fry the lean pork meat in about 150-160°C of hot oil. 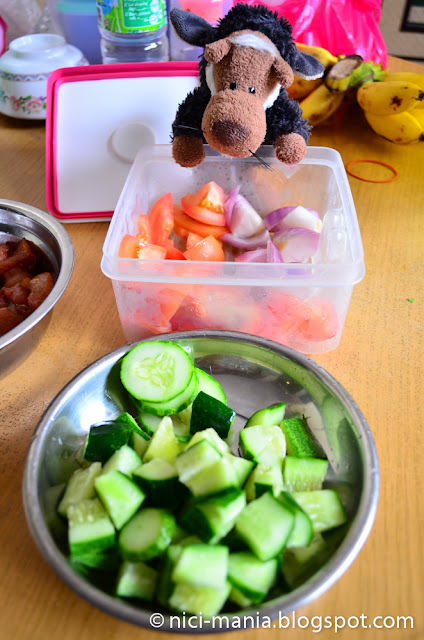 Even though the lean pork meat is quite thick, it will be cooked in 40 seconds flat. The lean pork meat is going to be tender-licious because the egg and corn starch protects the juiciness of the meat and the high temperature of deep frying locks all the juice within. The sauce is the most important factor that decides the success or failure of this dish. 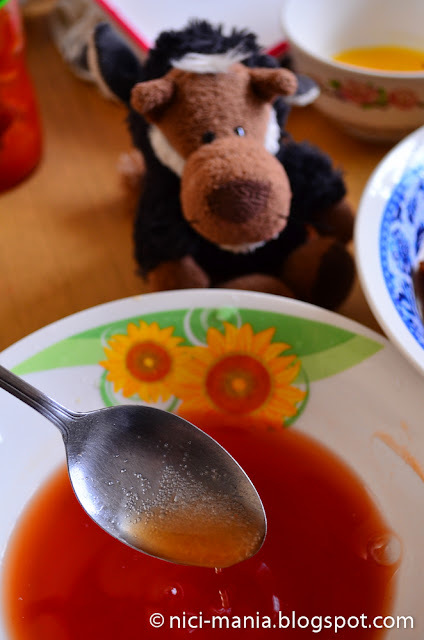 Prepare the sweet and sour sauce for the Sweet and Sour Pork in advance. Mix the sauce well. You can up or lower the ratio accordingly to the size of your dish. The perfect ratio is the key to make any tasty sauce. 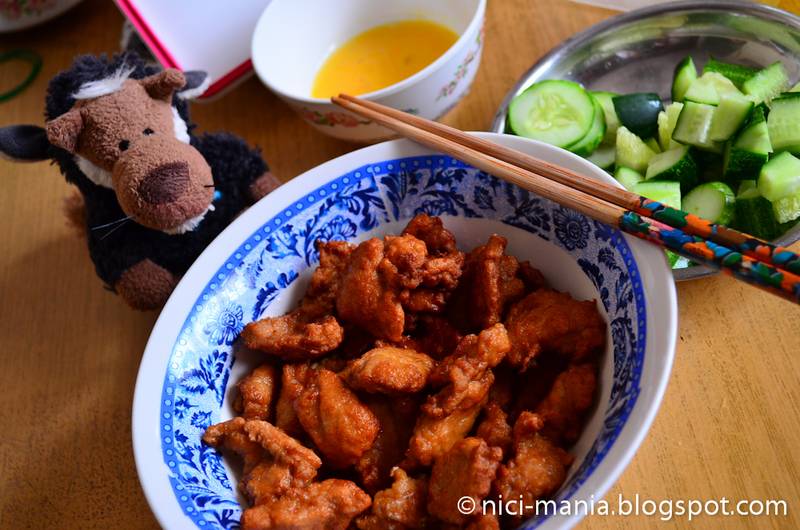 Now we can start frying our Sweet and Sour Pork. 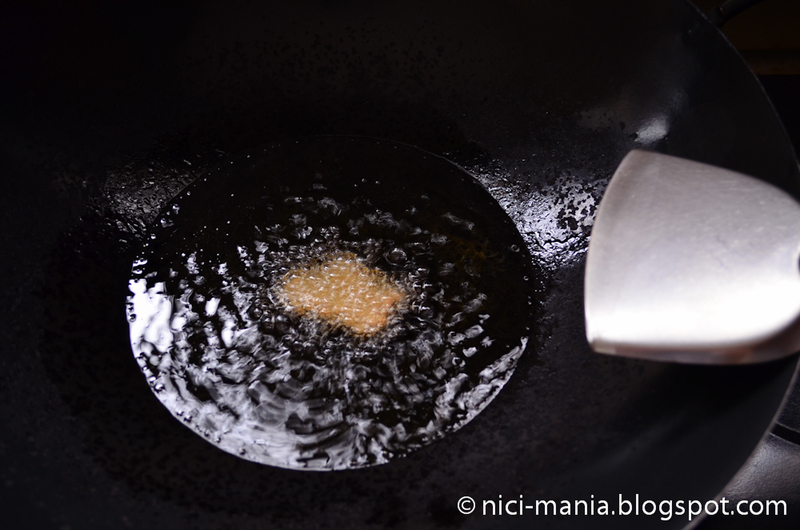 Remove all the oil from the pan earlier and leave about 4 tablespoons of oil in the pan. 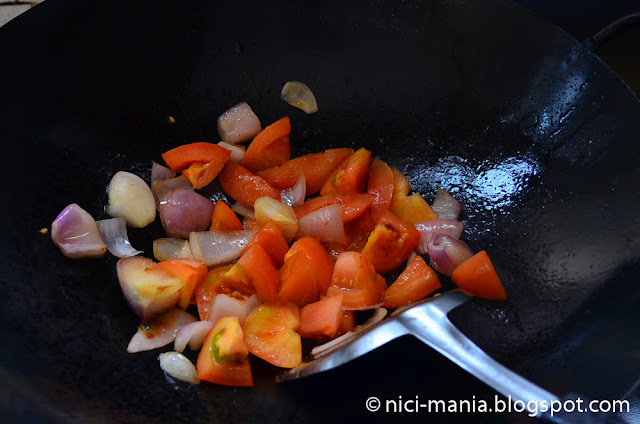 Start frying the onions and tomatoes first until fragrant. Then add in the well mixed sweet and sour sauce. Add the deep fried pork into the pan and stir it well. When it is almost ready, add in the cucumber last and serve. 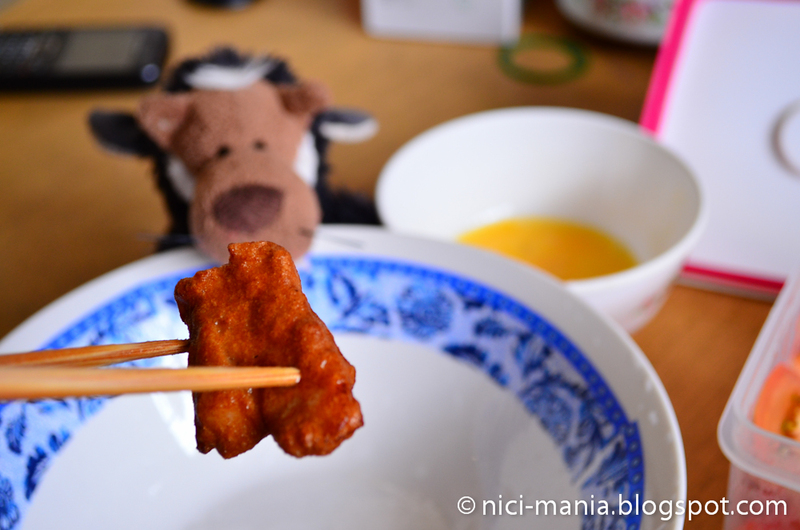 Because of the sugar in the sweet and sour sauce, it will turn sticky and wrap around the lean pork meat. Home made Sweet and Sour Pork is done! It is a very simple recipe and it taste very good! 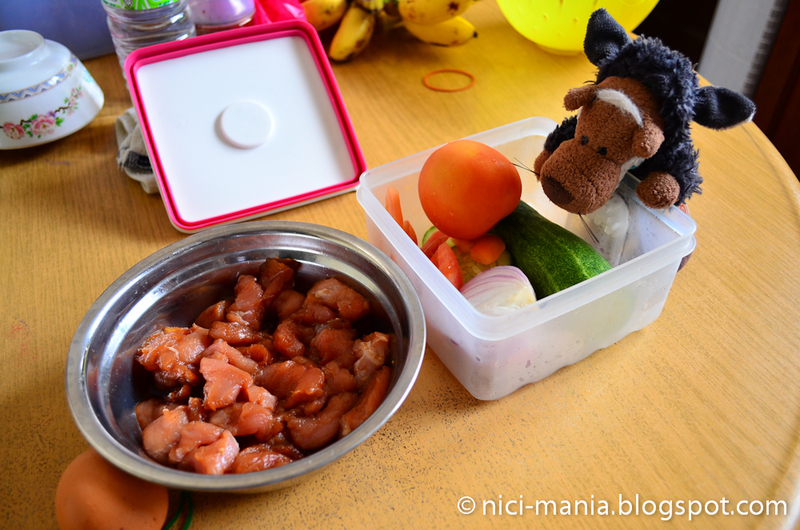 You can use the same recipe to cook sweet and sour fish or sweet and sour chicken. Sweet and Sour Pork is a very popular dish you can easily impress your friends or family with it. Your recipe saved me! Last week I was required to make lunch for five people at work and I had no idea what to make. I remembered this post of yours and things turned out wonderfully well! 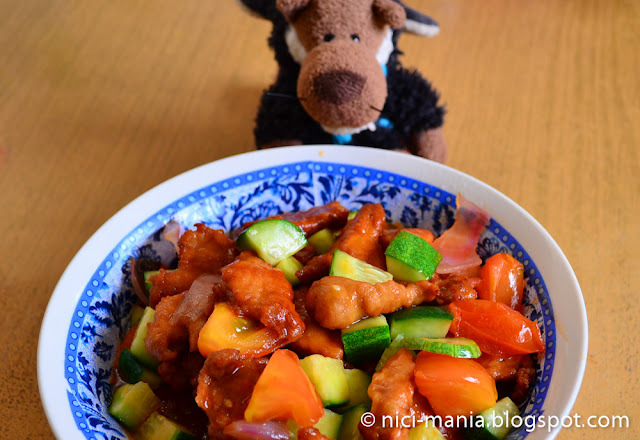 The sweet and sour pork was delicious! I sure make it again soon. Thank you so much! Hi~ May I know which part of the pork you used and the weight of it? Also when i tried cooking myself, the pork is not as brownish and crispy like yours. It's more like being grilled.. How do I change that? Thanks! Hi thanks for your help! I tried your method and it starting to work but do we need to add in a lot of oil? Oh btw for the sauce right , it is for how many people? because my meat is quite alot but when i make the sauce according to ur recipe , the sauce is kind of too little and i dont know how to raise its ratio properly because im afraid the whole sauce will be too sour. Can you pls advise me on this? Appreciated!!! Hi there! Our sweet and sour pork is for 4 pax. You do need to add lots of oil, enough to cover all the meat in the pan while deep frying. As for the sauce, just remember that plain water and tomato sauce is always double the vinegar and sugar. 2:1 ratio you will be all good.